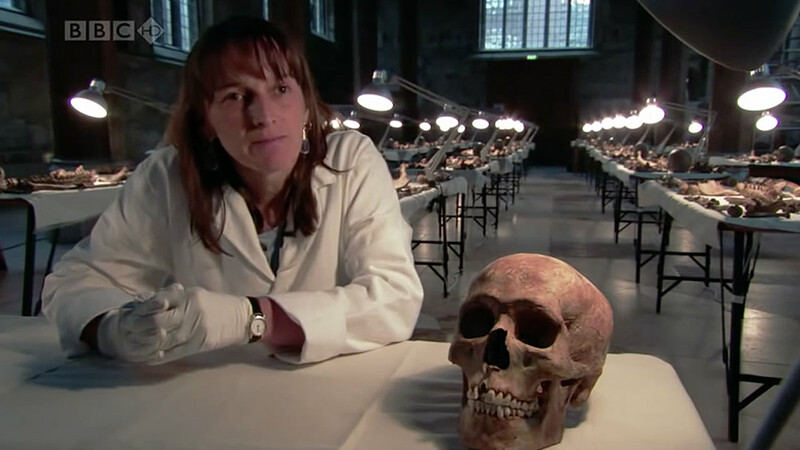 Video still from the BBC program, The Mystery of the Headless Romans. Unit 1 of the BHP course kicks off with History as Mystery, an activity that includes a 50-minute BBC program, The Mystery of the Headless Romans. This program introduces many useful ideas—how historians investigate questions, how hypotheses may emerge into accepted theories, and how interdisciplinary skills are necessary for exploring the past. It even features 30 decapitated skeletons, which I would have thought would be great fuel for budding high school historians. However, as I taught the lesson in class, I was surprised to find it didn’t capture my students’ interest. Why? I think the missing component was a connection between my students in twenty-first century west Michigan and the mystery itself, which centers on third-century York, England. I tried a number of techniques to give my students the context they might need to connect with the activity scenario, but had little success. I wondered if I could affect their level of engagement by adapting the activity to focus on a mystery closer to their own time and place. I thought I might be able to take advantage of something I’d observed over the years: Although most students don’t know much about local history, many of them feel like they should, so they’re open to filling that knowledge gap. I decided to test my theory. The next time I taught BHP, I began the year with my “localized” adaptation of History as Mystery. I had my students investigate a number of images that involved places or things from west Michigan’s past. 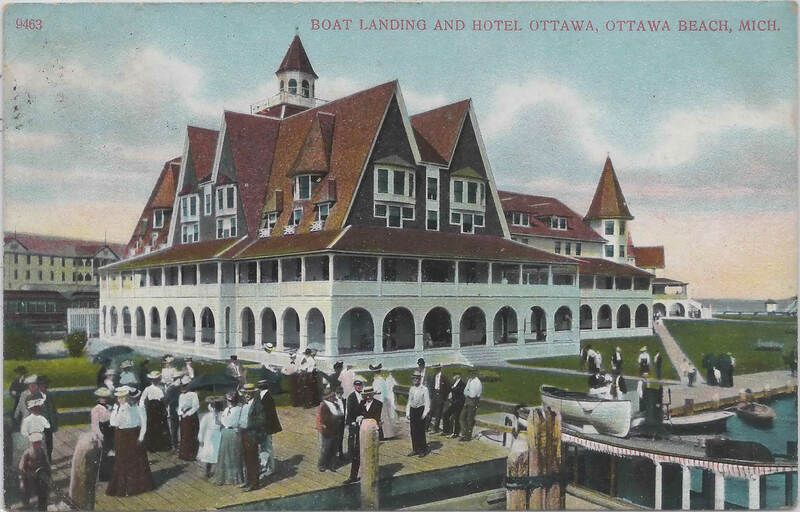 What was the Hotel Ottawa? Why has it disappeared? Hotel Ottawa, Ottawa Beach, Michigan, by Don Harrison. CC BY-NC-ND 2.0. What was the Getz Zoo? What happened to it? 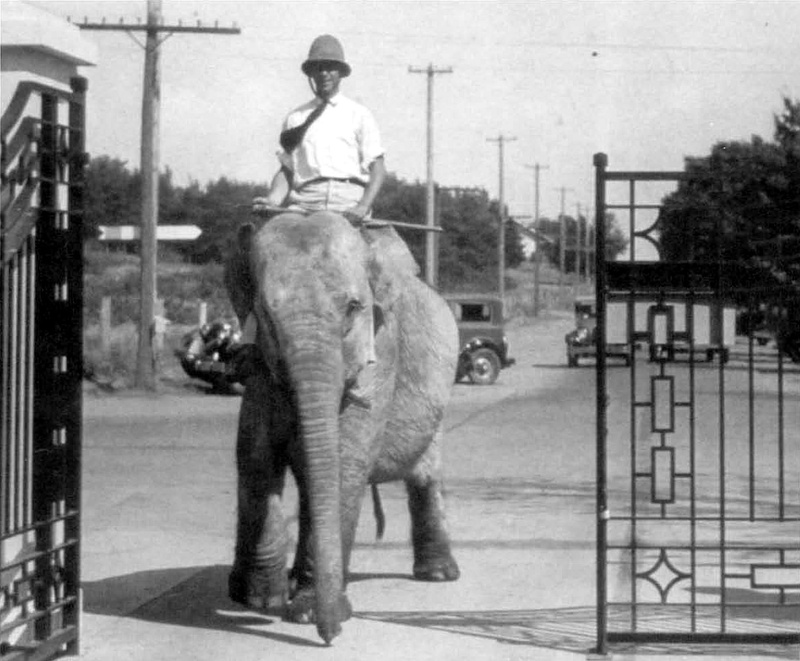 George Getz, Jr., rides Nancy the elephant. Courtesy Digital Commons @ Hope College. What was the Jenison Amusement Park (which included a roller coaster with light bulbs from Thomas Edison)? Where did it go? 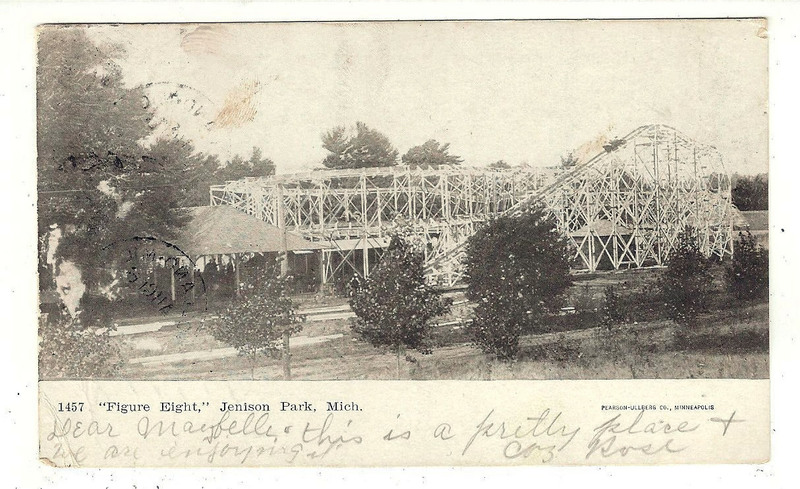 Roller Coaster at Jenison Park, Michigan, 1907, by Wystan. CC BY 2.0. What was the lost city of Singapore? How did we lose it? 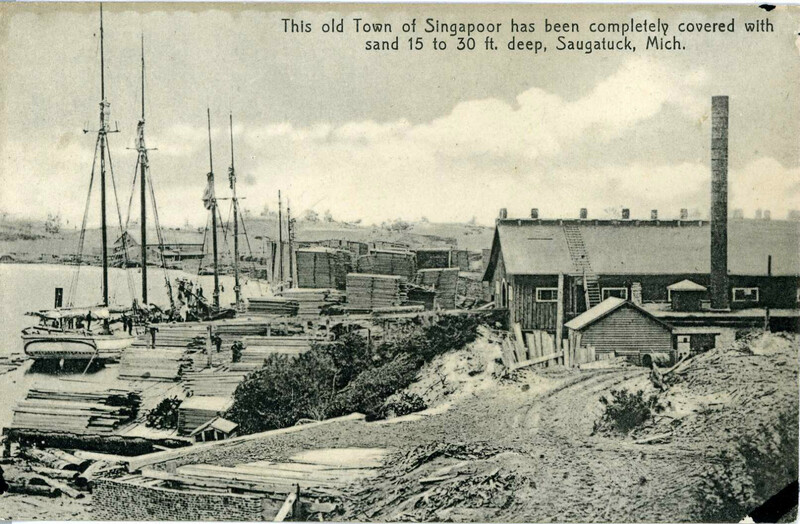 Singapoor (Singapore) buried village – Saugatuck, Michigan, by Wystan. CC BY 2.0. 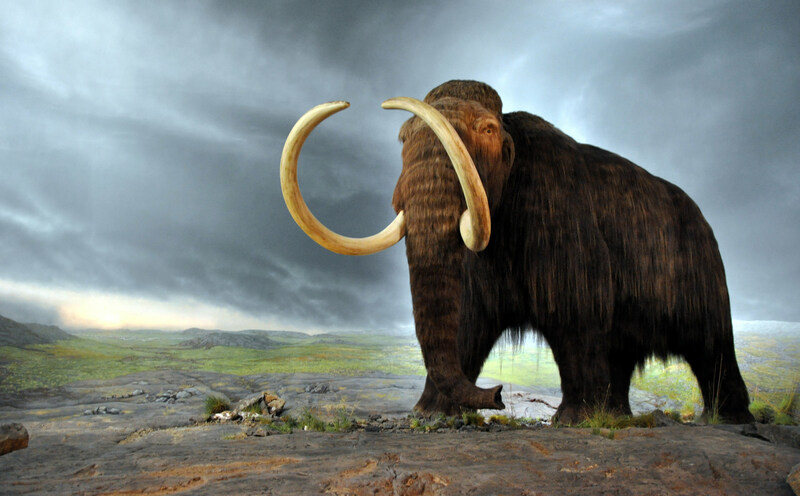 What’s the story with wooly mammoths? What wiped them out? Wooly mammoth diorama, Royal BC Museum in Victoria (Canada), by Flying Puffin – Mammut. CC BY-SA 2.0. What happened to the white pine? Why did it go from abundant to nonexistent? 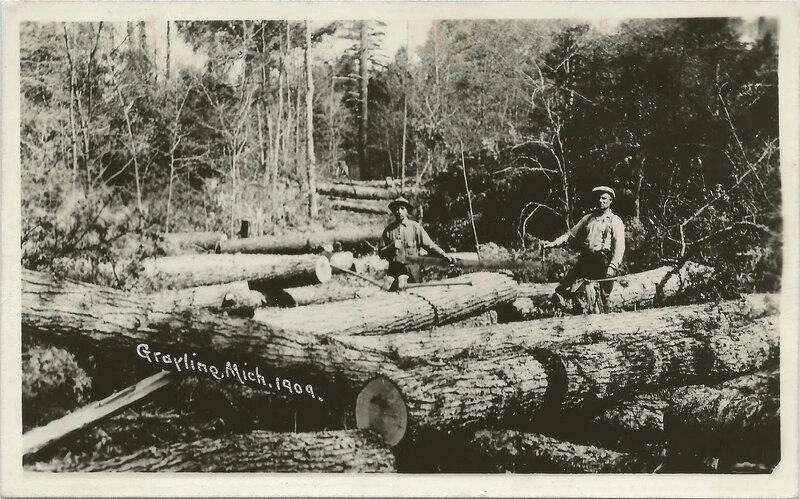 Crawford County Lumberjacks Felling Huge Old Growth Michigan White Pine Trees, by Don Harrison. CC BY-NC-ND 2.0. My students were excited by the images. What were these places and things? Why don’t they exist anymore? State a how/why question. For example, why did the white pine disappear? Formulate a position statement or thesis. Support the position statement with evidence. I didn’t have excessively high expectations for these tasks. I simply wanted to introduce a process of historical inquiry. We then shared our findings and attempted to begin a narrative of west Michigan’s history. We ordered early life (both animals and plants), early industry (logging), and later industry (tourism). We attempted to explain the extinctions and determine what, if anything, moved into the niche they left behind. We speculated about which experts would be useful in helping us understand the past (biologists, architects, anthropologists). In support of a fuller narrative of Michigan’s history, which features physical history, biological history, early humans, rise of agriculture, revolutions of industry and society, we identified the constructs of time that we would use throughout the year. The “mystery of our local past” led us to develop a history of Michigan, which became our model for the year. BHP encourages us to create our own versions of activities and to adapt the course to meet our students’ needs. My kids needed to start off their year with something they could relate to, and I’ve landed on this version of the opening activity. I think it still hits the important themes and concepts of the original. Try developing your own version of an activity that isn’t working for you by scaling it to your locale—and be sure to share it with us!